Does your husband or boyfriend have a beard? Maybe your dad or grandfather do? My husband does and although it's not too long, it can get dirty from sweat, food, and whatnot. Ew. Now, whether that man in your life has a Duck-Dynasty-worthy beard or a nice, short groomed one, keeping it clean and smelling good is a necessity. Soap can dry out the skin. It's like the hair on your head. Would you rather use a bar of soap or shampoo? I'm guessing the latter. It's very gentle, but cleans very well. He said he loves it because his skin underneath his beard doesn't get all dry and itchy like some face washes leave it. I also want to add that it leaves his beard feeling soft and not scraggly. Yes. Perfect. I've even used it on my own hair, just because. I smelled like my husband's beard but it was a good scent. It comes in a nice sized bottle, and has natural nourishing oils in it, by the way. 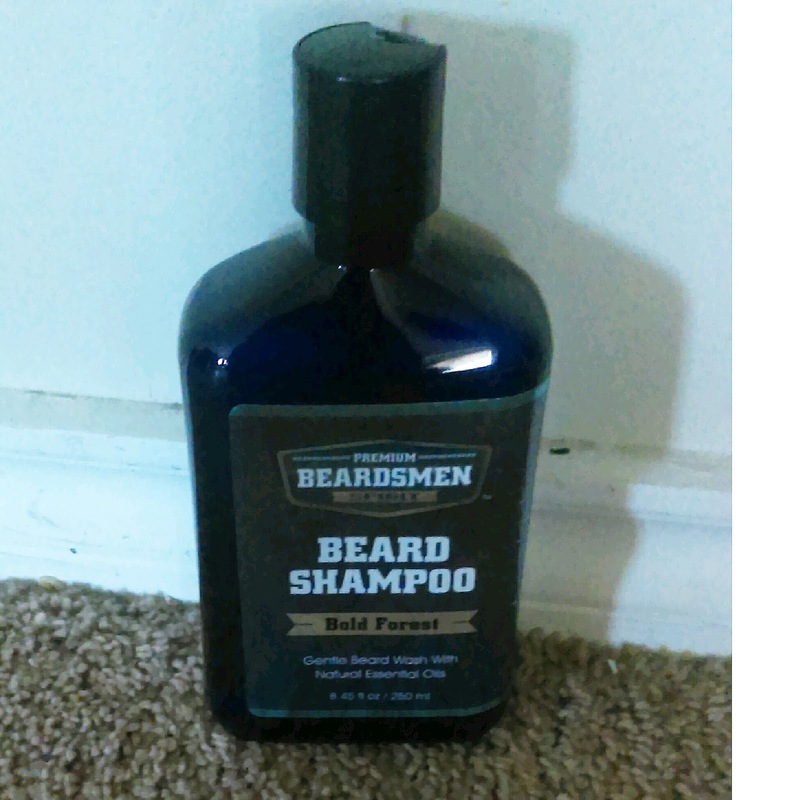 You can order this beard shampoo on Amazon. Guess what? They also have other products available to keep those beards smelling nice and staying groomed. Great to give as gifts for a holiday or special occasion.